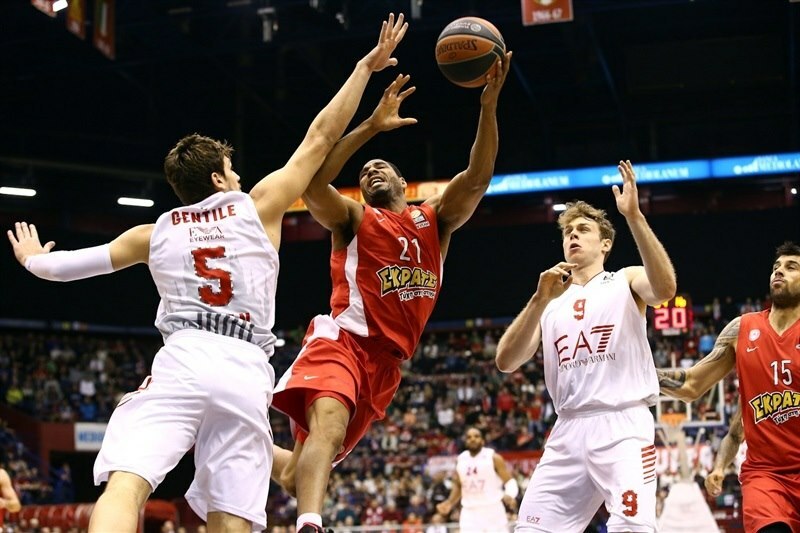 Olympiacos Piraeus kept first place in Top 16 Group F by downing EA7 Emporio Armani Milano 74-83 on the road on Friday. Olympiacos improved to 8-1 in Group F and could qualify for the playoffs as soon as next week. Milan dropped to 2-7 and has slim chances to stay alive in the competition. 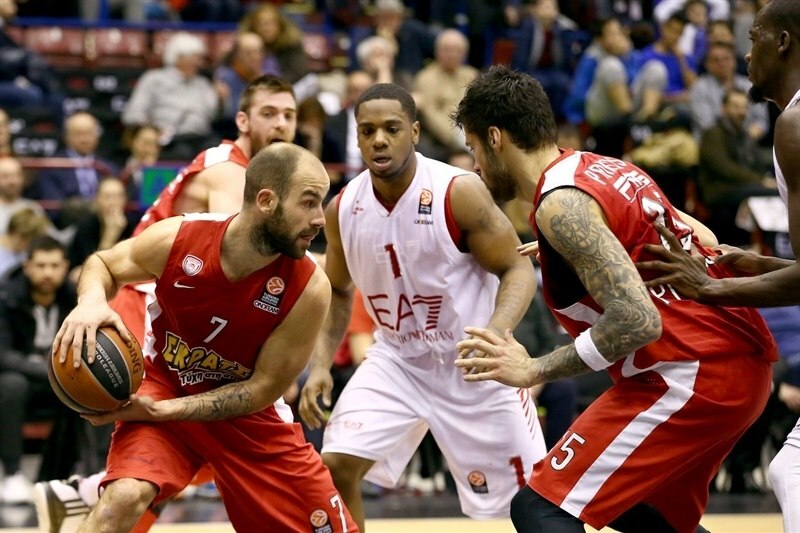 Vassilis Spanoulis led the winners with 14 points and 8 assists. Othello Hunter also had 14 points, Georgios Printezis added 13, Bryant Dunston 12 while Tremmell Darden scored 10 for Olympiacos. 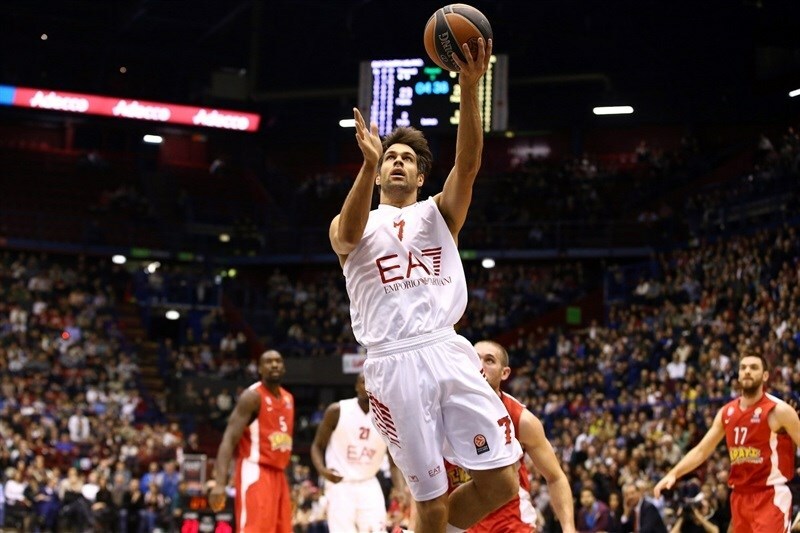 Alessandro Gentile led Milan with 24 points. MarShon Brooks added 17 for the hosts. Darden and Dunston shined early to give Olympiacos a double-digit lead, 4-15. 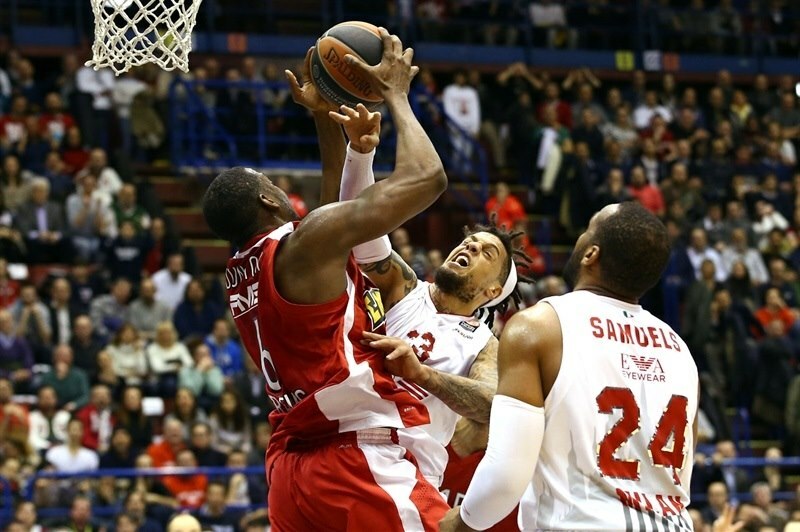 Olympiacos led 12-22 after 10 minutes, but Brooks and Bruno Cerella helped Milan get as close as 25-26. Olympiacos found a new go-to guy in Hunter, who got help from Spanoulis to restore a double-digit lead, 32-42, at halftime. Gentile tried to change things for Milan after the break, but Hunter and an outstanding Printezis ensured the guests kept their lead, 56-66, through three quarters. Olympiacos improved its defense in crunch time, as Printezis and Dunston stepped up to seal the outcome minutes before the final buzzer. Tremmell Darden got Olympiacos going with a free throw and a put-back basket by Printezis gave the Reds a 0-3 lead. After Gentile hit a six-meter shot, Darden nailed a turnaround jumper and a layup by Bryant Dunston boosted the guests' lead to 2-7. Gentile kept pushing Milan with free throws, however Darden nailed a baseline jumper and Spanoulis found Dunston for a slam that caused the hosts to call timeout at 4-11. 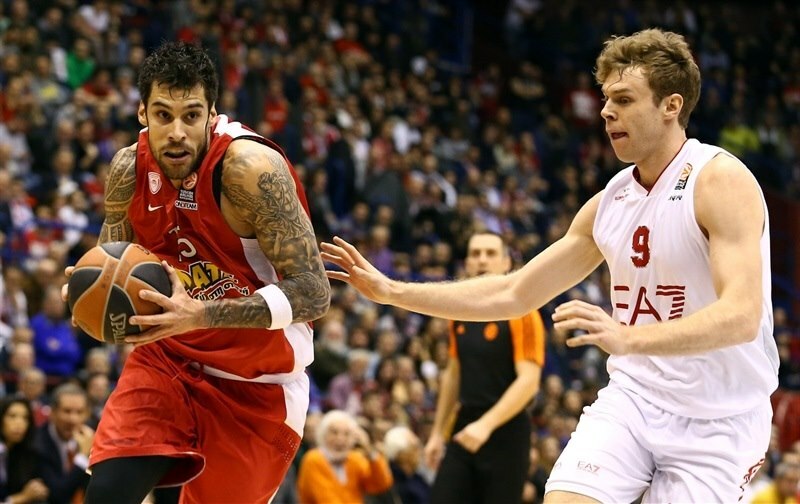 Dunston hit free throws and Spanoulis scored in penetration to cap a 0-8 Olympiacos run. Brooks struck from downtown and Daniel Hackett added a layup to bring Milan within 9-15. Matt Lojeski stepped up with a fast break layup and Printezis scored again to restore a double-digit Olympiacos lead, 9-19. Dunston took over with a wild dunk-and-foul, which Brooks matched with his own three-point play to keep Milan within 12-22 after 10 minutes. Joe Ragland stepped up with a backdoor layup early in the quarter, as Olympiacos tried a smaller lineup with Darden at power forward. Ragland scored again in penetration, before the Reds called timeout at 16-22. Brooks hit a step-back jumper, but Hunter scored around the basket. Another driving layup by Ragland made it a 4-point game. Darden nailed a stop-and-pop jumper, but Shawn James split foul shots and Brooks nailed a jumper of the dribble to bring the hosts within 23-26. Vangelis Mantzaris bettered Bruno Cerella's jumper with a corner triple. Cerella insisted with a driving basket, but Hunter hit a jump hook and a free throw by Spanoulis restored a 27-32 Olympiacos lead. Spanoulis hit a three-pointer and fed Hunter for an alley-oop slam, but Ragland answered from downtown and Linas Kleiza added a put-back basket to make it 32-37. 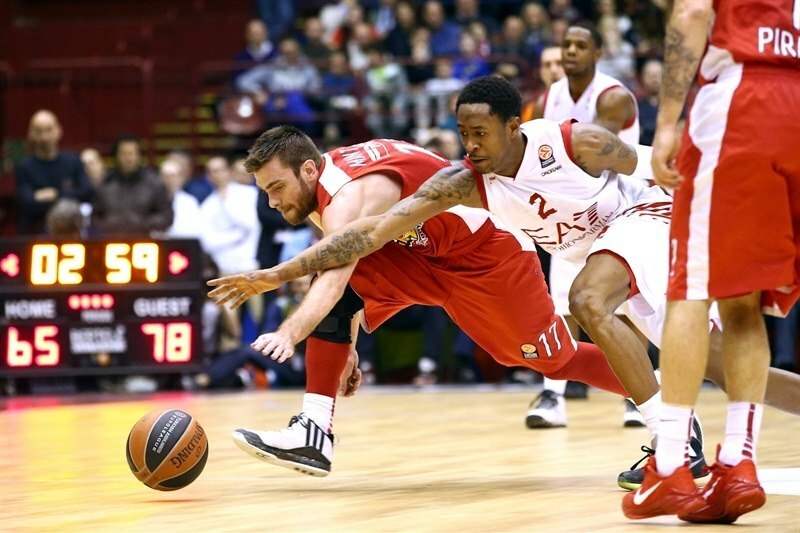 Spanoulis and Printezis hit foul shots and a layup by Hunter gave the Reds a 32-42 advantage at halftime. Hackett buried a six-meter jumper immediately after the break and a free throw by Brooks gave Milan hope at 35-42. 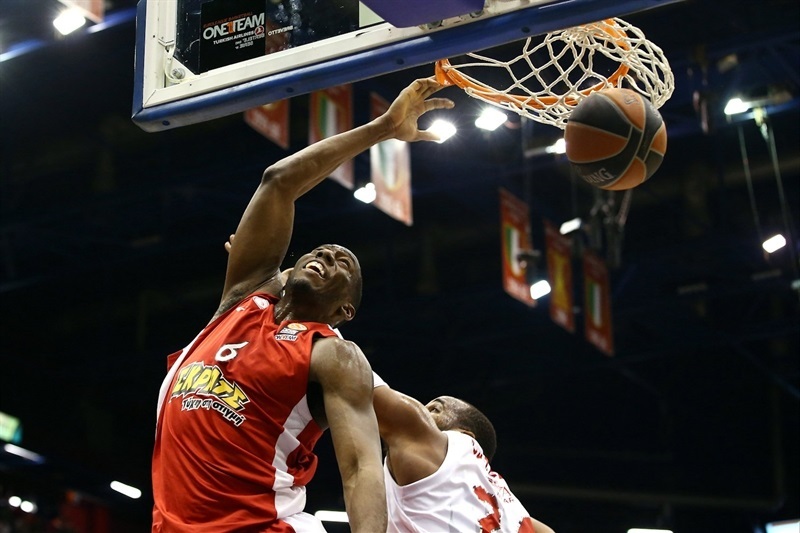 Samardo Samuels dunked, but Mantzaris answered from downtown for a 37-45 Olympiacos lead. Gentile took over with an off-balance basket in transition and hit 3 of 4 free throws to keep Milan within 42-45. 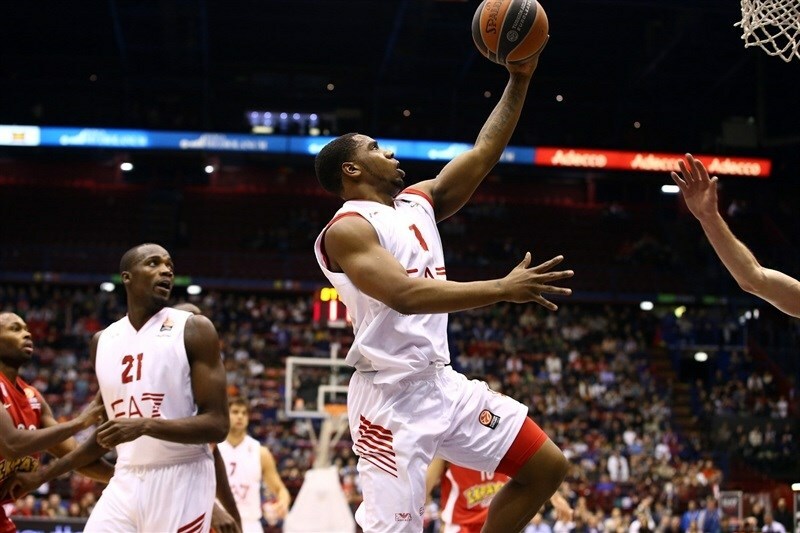 Oliver Lafayette found Printezis for a layup, as Olympiacos entered the foul penalty. After Hackett and Gentile split foul shots, Hunter scored down low. Gentile kept pacing the hosts with a backdoor layup, but Spanoulis did better with a triple and found Printezis for an alley-oop layup. Gentile scored again, but Ioannis Papapetrou came off the bench and immediately delivered with a three from the corner. After Brooks scored in penetration, Samuels added a layup and Gentile kept Milan within 54-57. Kostas Sloukas and Brooks exchanged jumpers before Spanoulis struck downtown for a 56-62 advantage. Hunter scored in the paint and Printezis added his trademark one-handed baseline jumper - from the same spot as the 2012 Euroleague-winning shot - to give Olympiacos a 56-66 margin. Hunter banked in a close shot early in the quarter to cap a 0-9 run. Gentile stepped up with a close jumper, which Sloukas bettered with a layup-plus-foul that made it a 13-point game. Gentile stayed on fire with a driving basket and free throws. Milan entered the foul penalty with over seven minutes left, but even though Sloukas made free throws, Kleiza answered from downtown to make it 65-73. 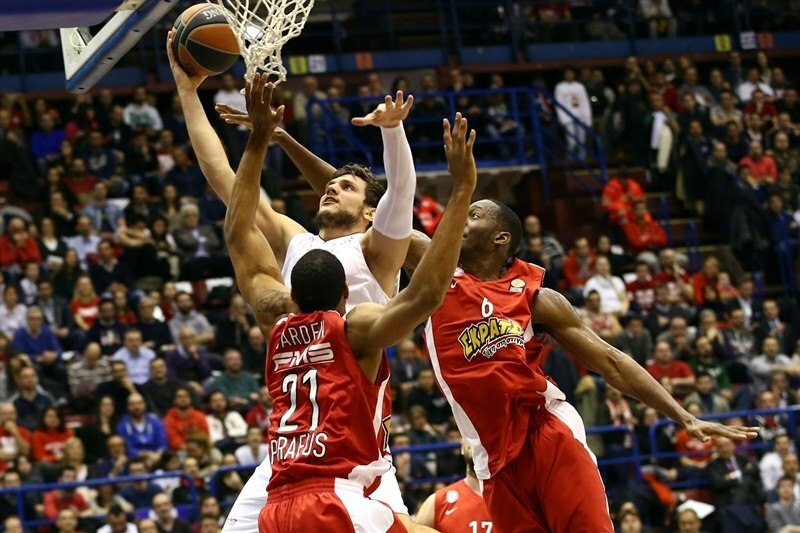 Printezis took over with another backdoor layup and a close basket by Dunston kept Olympiacos out of trouble at 65-77. Milan struggled to score when it mattered most and a free throw by Dunston seemed to seal the outcome at 65-78 with three minutes left. 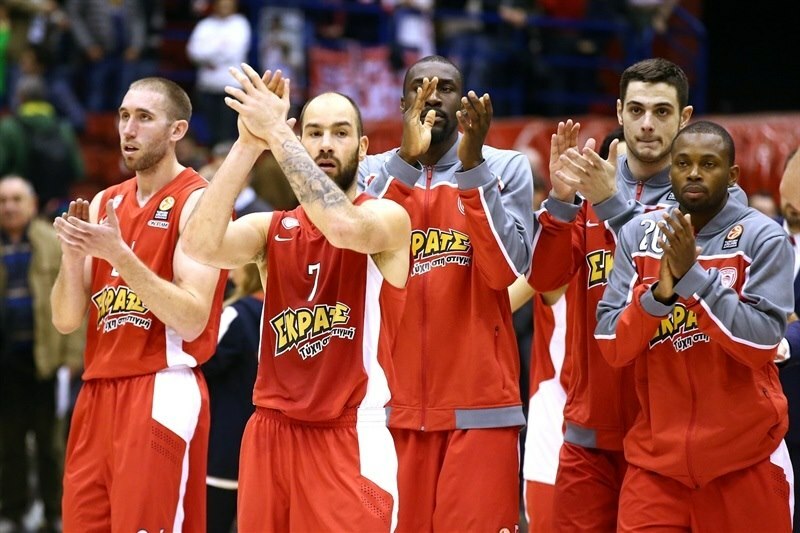 David Moss nailed his trademark corner three-pointer and Gentile scored in the low post, but a three-pointer by Lojeski allowed Olympiacos to start celebrating yet another road win. 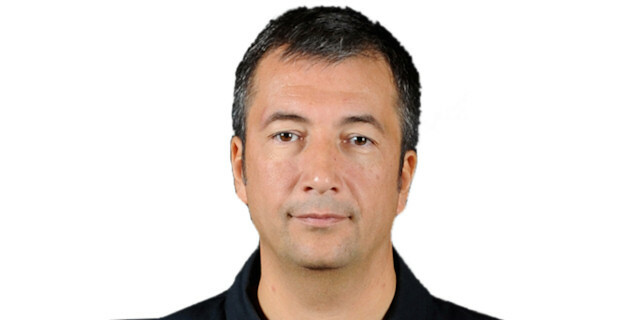 "We played offense with low shooting percentages and Olympiacos took its chances in the first 10 minutes to find easy baskets, which surely made the difference. We have constantly trying to come back. Their rebounding skills have been a factor against us. We had an aggressive start of the third quarter but could not complete our comeback. We have seen the talent of our opponent, with a player like Spanoulis able to to take great responsibilities and create for his teammates. He found key baskets and was decisive in their win. 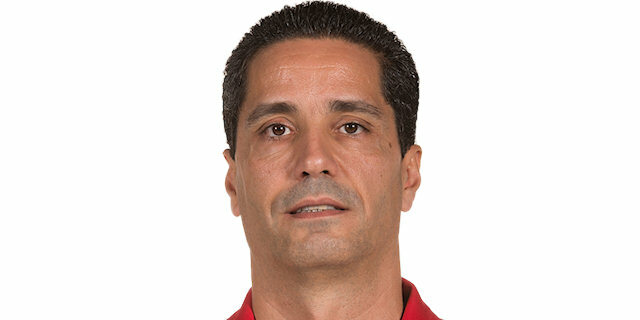 Our team fought with great determination but we have to convince ourselves that we can compete at this level with more discipline, control and above all, mental aggressiveness, taking care of all small details, which were decisive tonight - A bad defensive rotation, a wrong defensive distance to our opponent, an extra pass that didn't go well or a turnover." "We had a very good mentality and very good concentration in this game. We knew we didn't have an easy job here because Milan is a very good team, very aggressive. After the cup, they had two very good games. It was very important that we had a really good start of the game, with great concentration. We stopped them defensively in the first quarter and got the lead. From that moment, we controlled the game tempo and the score. It is not all about Spanoulis. I believe Spanoulis is our leader, but I think the whole team worked really well today, defensively and offensively. We shared the ball and all together, they did a great job."